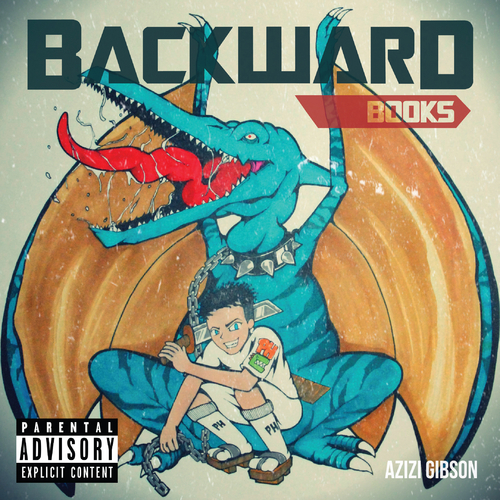 Brainfeeder’s Azizi Gibson released the Backward Books EP on July 1 quite unexpectedly, but with the element of surprise on his side the nine-track EP’s content registers at a higher impact on the Richter scale. Take germane opener “Intro”, rap has pilfered the catalog of Portishead heavily since Organized Konfusion flipped “Strangers”on their Equinox LP, but Azizi and producers The Injuns overturned a neglected stone in sampling “Biscuit”. While the intro has that mass appeal gravitational pull of degenerate raps over a timeless banger, the duration of Backward Books sustains on the strength of Gibson’s tell-all writing style and sharp ear for production. Gibson is a chameleon when it comes to delivering dynamic styles, sometimes within a single track. No two verses are the same on Backward Books, Gibson can zone out in a double-time delivery as easily as he can lapse into a blunted cadence that sounds as though he’s barely holding on to consciousness. The Backward Books EP is available for download here.